Since I may or may not have said something about an end of June deadline, and tomorrow is the last day of June, this seemed like an appropriate time to check in. All the knitting components are now blocked, tagged, and placed in their respective binder sleeves. 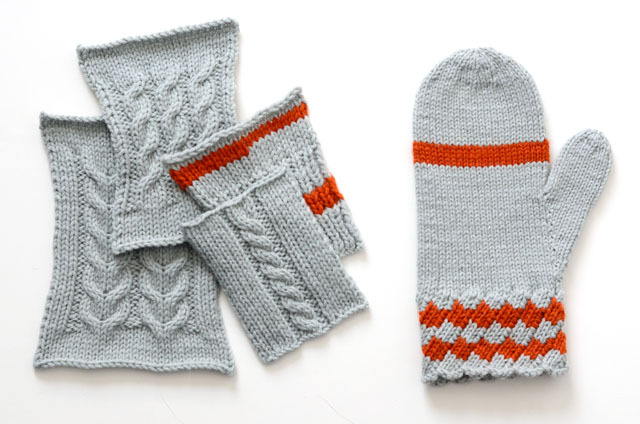 The blocking report is finished and printed. The last missing pieces are the gauge worksheets, which I admit I'm having a little trouble getting excited about. Next time I post about this, I will hopefully be telling you that my submission is in the mail. These size 11 socks are also coming along. 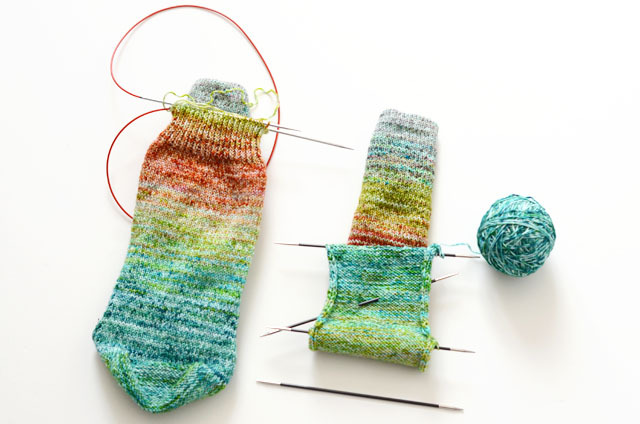 A certain husband will have new hand-knit socks in time for his birthday in a couple of weeks. I know there is a stereotype about socks making lame gifts, but I'm pretty sure this does not apply to hand-knit ones. 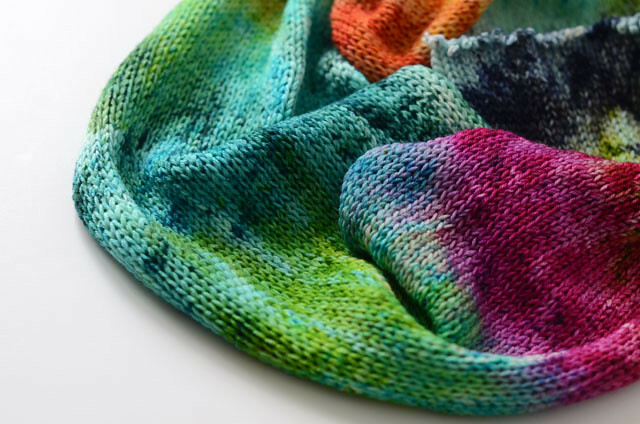 This spring has been all about trying new things in the yarn realm. Over the last few weeks, I've been playing with sock blanks. They have been an interesting challenge, but I'm enjoying being able to create different dye patterns. 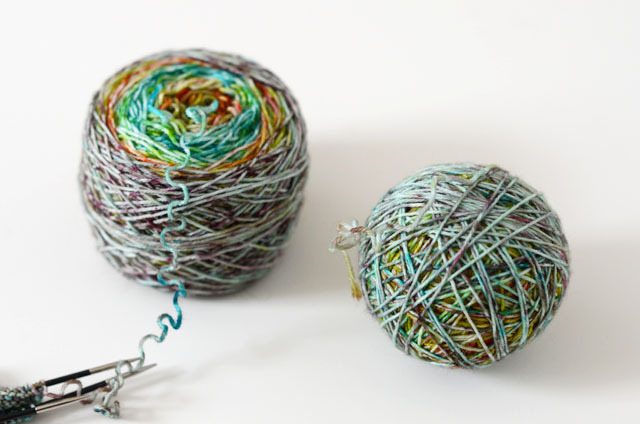 These two balls came from a double-knitted sock blank, so they will knit up into a matching pair of socks. 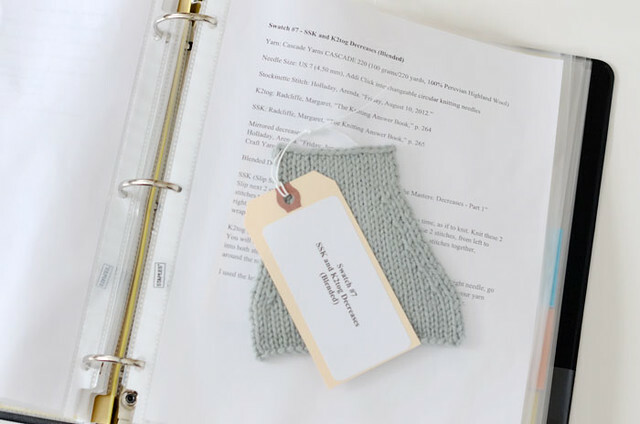 There's an important birthday coming up soon, and someone will be getting a pair of brand new birthday socks (which I bet sounds pretty lame to non-knitters). 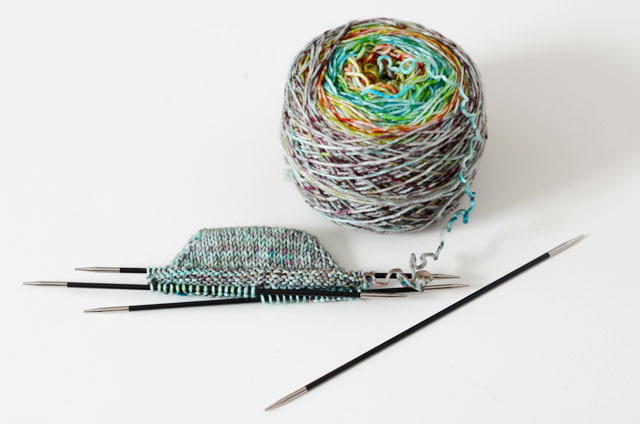 After an unplanned and way-too-long break, I am back to working on my Level 1 Master Knitter certification. 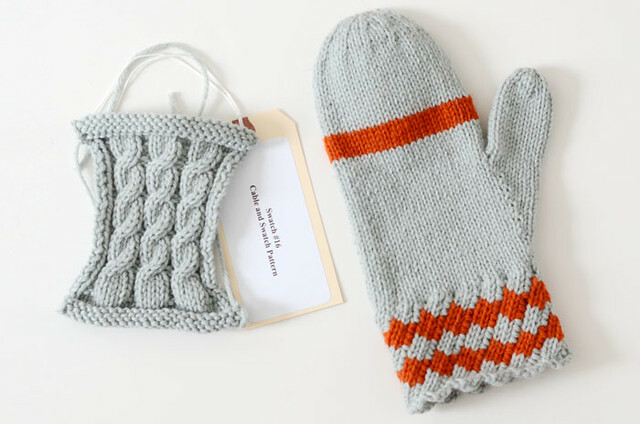 Within a couple of weeks, I knit the last 4 swatches, and the final project, which is a mitten. I still have to block these last pieces, do a bit more writing, and complete the gauge worksheets, but it feels so close! This has been 11 months in the making. My persona deadline for mailing off the submission is before the end of June. Wish me luck!